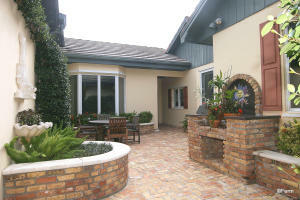 12224 Se Birkdale Run Tequesta, Fl 33469 has been sold. CHARMING 3 BR 3.5 BTH JUPITER HILLS VILLAGE VILLA ON THE 8TH/9TH HOLE OF THE VILLAGE COURSE. REMODELED WITH ATTENTION TO DETAIL. SPACIOUS MASTER SUITE WITH CUSTOM BUILT IN CLOSETS & OFFICE NOOK. TWO GUEST SUITES EACH HAVE THEIR OWN PRIVATE BATH. PROFESSIONAL KITCHEN WITH NEW APPLIANCES. TWO PRIVATE OUTDOOR TERRACES PERFECT FOR DINING & ENTERTAINING. GREAT LOCATION ACROSS FROM COMMUNITY POOL, TENNIS & PICKLE BALL. EASY ACCESS IN & OUT OF THE COMMUNITY. HIGH ELEVATION, 26 FEET. HURRICANE SHUTTERS FOR ENTIRE HOME. OWNER WILL CONSIDER SELLING FULLY FURNISHED. GOLF COURSE & GARDEN VIEWS.2 FULL CAR GARAGE PLUS GOLF CART.THIS ONE WILL NOT LAST, MAKE YOUR APPOINTMENT TODAY! 12224 Se Birkdale Run located in Tequesta, FL is a townhome with 3 bedrooms, 3 full baths and 1 half baths.The Townhome at 12224 Se Birkdale Run was built in 1989 in Jupiter Hills and offers a 2.5 car garage. This Jupiter Hills Townhome offers pool, golf course, tennis, bike - jog, exercise room, street lights. 12224 Se Birkdale Run Tequesta, Fl is currently listed for $599,000 under the MLS# RX-10279322. This Townhome has been put on the Tequesta MLS system and currently has a status of SLD.